For added security, a video input on fleet 670V allows for backup camera compatibility (camera not included). 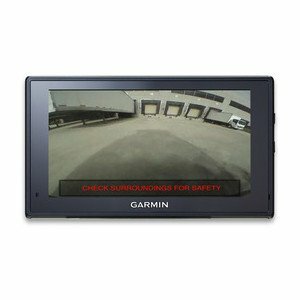 When paired with a compatible backup camera, fleet 670V will detect video signal, then display active camera feed. Users may minimise or maximise the active video feed on their display. The display will return to normal navigation mode when the video signal feed is removed.